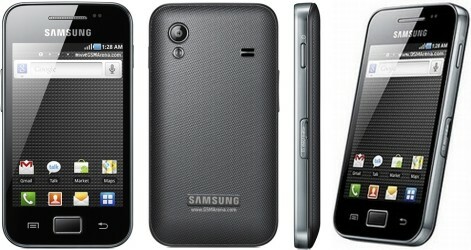 Samsung released the Galaxy Ace (S5830) in February 2011 and was available in black or white. It was launched running Gingerbread OS and cannot be upgraded. It has 158MB of internal memory and can be externally expanded up to 32GB. However, a 2GB micro SD card is included, free with purchase of the device. This model has a 3.5″ touch screen with Corning Gorilla Glass. The Galaxy Ace has a 5MP camera with a 480p video recorder. Unfortunately it does not have a front-facing camera, but the camera stil has LED flash and supports face and smile detection, and geo-tagging. The Ace is ideal as an entry or mid-level smartphone. FM Radio is also accessible on this phone. Once unlocked, it can be used for compatible GSM service providers. Unlocking your Koodo Galaxy Ace is easy, fast and 100% guaranteed by Cellunlocker.net. Unlock your Koodo Galaxy Ace with CellUnlocker.net today and receive your network unlock pin within 24 hours! Why Unlock your Koodo Samsung Galaxy Ace with Cellunlocker.net? Unlock Your Koodo Samsung Galaxy Ace Today!